Steve Robinson - Author: What's been going on with me this week? What's been going on with me this week? If you've been tracking my word count monitor over there on the right, you'll know that I haven't added any new words to my next Jefferson Tayte Genealogical Mystery since I last posted, but it's with good reason. In my last post, I said that the copyedits for In the Blood had come in and that things at Amazon Publishing seemed to be moving at a pace. Well, I spent last week working on those copyedits and this week I've had the copyedits for To the Grave in so I'm now cracking on with that. I had initially thought that I would write in the mornings and edit in the afternoons, but I can't seem to write well like that, and given that my copyeditor is sending me new material to edit almost as fast as I can return it, it made sense for me to stay in edit mode until it's done. Then I can focus 100% on writing the new book, all the way to the finish line. I've come to realise that I write best that way - without distraction. I like to immerse myself in my imaginary world and stay there for as long as I can. I'm sure that's the same for most writers, and I have to say that I really envy and respect any writer who can dip in and out of his or her writing for no more than a few hours at a time, especially those writers who are forced to write that way because of their circumstances, be it their work, family life, etc. So anyway, I expect to be in edit mode for about two more weeks, and then that word count will hopefully start to shoot up. Apart from moving on to editing my second book, a couple of other things have happened since my last post. The second round of jacket cover designs came back and they're shaping up nicely. I can't wait to see what the next round looks like. I've also noticed that my books under Thomas & Mercer have started to appear on Amazon.com, with a release date of March 18, 2014 - and it's the first time I've had books on Amazon with pre-order options! Yay! I was also pleased to see that the price of the paperback is $11.66, down from the current price of $14.99, so that should help to make them more competitive, and of course, better value for readers. Here's a link to In the Blood if you'd like to see how it looks, although there's not much to look at just yet. Maybe they'll add video at some point, which would be very cool. Something else has got me excited this week. I received an email from the author relations manager at Amazon to say that production was soon to begin with Brilliance Audio on the audiobooks for my series. Now, as well as being excited about this, I'm also a little scared. No, maybe scared is too strong. I'm nervous, that's it. The main reason for this is that my books are written with a British English narrative, they're predominantly set in England, and the majority of the characters are English. But Jefferson Tayte is the lead character and of course he's an American. My worry is that JT's voice won't sound right, because I feel that the narrator needs to be a Brit (for all the reasons above), rather than an American. I'm sure I'm worrying about nothing though as that's what voice actors do - accents. I did suggest Hugh Laurie (with tongue in cheek) as he's a Brit who has managed to speak as a convincing American, but I think he's probably outside the budget. I listen to audiobooks all the time and I've also heard a few Brilliance Audio productions and they're very good, so I'm confident that my series is in good hands. What I really like about them, and the whole process with Amazon Publishing so far, is the amount of involvement I have. I had questionnaires from Brilliance Audio to fill in for each of my books, allowing me to describe my characters, such as where they were from, how they look and their mannerisms. It also allowed me to voice my concerns, which I'm sure will help the production team choose the right narrator for the job - or narrators, as I can see how it would work well to have a female voice for the past narrative in To the Grave, because that part of the story is told entirely from sixteen-year-old Mena Lasseter's point of view. So, it's great to be involved and it's certainly helped to put me at ease over how things are going to turn out. That said, I'm sure it's still going to be odd hearing Jefferson Tayte speak for the first time, and I'm sure that however good the voice actor is, my old friend JT won't sound the same as he does in my head when I'm writing his dialogue. If he's very good though, his voice will most likely be the one I adopt when writing JT's dialogue in future. 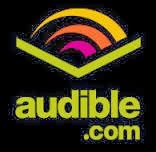 The audio editions for the series are also set to be released on March 18. I'm in London in a couple of weeks to meet with my main editor and the author relations manager for the first time, which I'm also very excited about. After lunch they're taking me back to the Amazon offices where were going to have a conference call with the marketing manager in Luxembourg, and he's going to talk about the marketing plan for my series. Now, I don't know what life is like with other publishers, but I get the feeling that it's probably not as interactive as this, and as an author who has become used to managing my own production, sales and marketing over the last few years, I can't imagine how it could be any better. Love the Hugh Laurie comment! I could totally see that being nerve racking. When I read, I get a total picture/voice of the person in my head. That is why I don't always like to see movies that are made from books. It can sometimes ruin my own idea of the characters. Can't wait for the next book! Keep up the good work. Great news Steve although I for one am waiting for the word count to increase on JT number 4 ;-) although the less selfish part of me realises that JT is now going to reach a much wider audience and that can only be a good thing for both of you! Hah! I for two am waiting for that word count to increase. I could use some writerly elves about now! The delay is all in a good cause though, as you say. I'm sure it will be out before you know it - even though it won't feel that way until you're look back on where the time went.